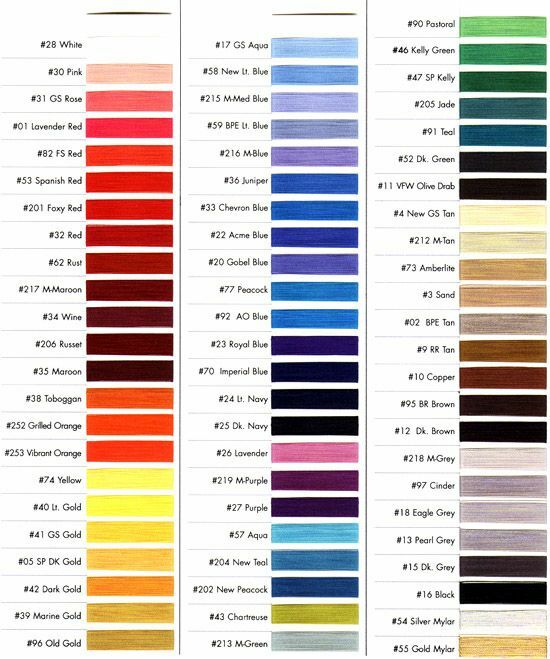 This is a sample thread chart for logo patches. New colors are constantly being added to meet our customer's requests. The thread is colorfast to withstand repeated washing.